Yet another upset in Key Biscayne! After world no. 2 Maria Sharapova crashed in her opening match, Rafael Nadal, the men’s world no. 3 fell to compatriot Fernando Verdasco 6-4 2-6 6-3. Verdasco was dominant throughout the first set, while Nadal seemed oddly absent allowing his opponent to stretch him to the far ends of the court and develop his hallmark ultra aggressive playing pattern. Verdasco’s pressure seemed to be paying off as he forced Rafa to double-fault on break point in the eight game, but only to be broken back immediately in the next game. The world no. 3 however did not use the momentum he acquired by breaking back and with an unusual forehand error he handed the first set to his opponent 6-4. Both players were confident in their service games in the early stages of the second set until the world no. 34 made a couple of unforced errors followed by a shout from the crowd that made him lose his temper. It is not uncommon for Verdasco to react poorly in such situations, and today was no exception as he completely lost his focus from that point allowing Nadal to easily take 4 games in a row and clinch the second set 6-2. Verdasco composed himself at the start of the third set, and a trench battle began with forehands flashing from both sides of the court. Worn down by his opponents constant attacks and ball chasing, Nadal was running out of ideas and soon found himself serving to stay in the match where he was forced to fight off a match point. But Verdasco had already earned a break and was able to serve out in the next game for one of the biggest wins in his career with a final score of 6-4 2-6 6-3. 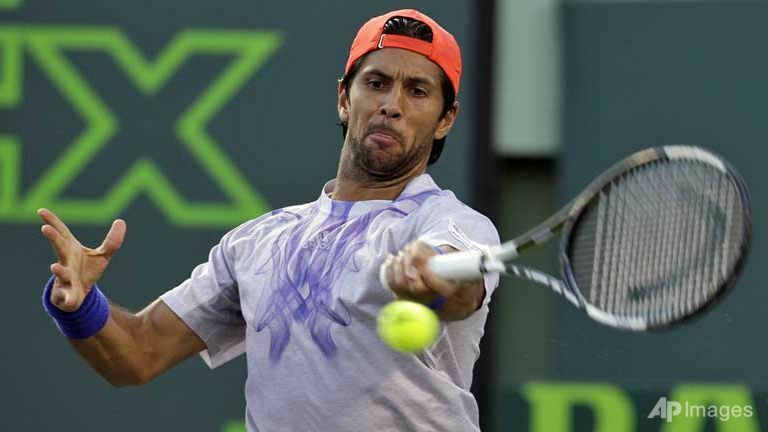 It is the second time Verdasco managed to beat Nadal in their 17 total encounters, his only other triumph being on the controversial blue clay in Madrid in 2012. He also came close to beating him in the semi-finals of the Australian open in 2009. which is considered one of the best matches in the open era. Miami open is one of the rare tournaments where Nadal has never triumphed and with this loss he is once again forced to leave Key Biscayne with no trophy in his hands. Rafa’s 14 month hard court title drought continues as well. The last title he won on hard courts was in Doha at the start of 2014, and the last final he played on this surface was right here in Miami a year ago when he lost to Djokovic. Are Nadal’s glory days behind him? Or will the upcoming clay season revive the 14-time Grand slam champion as it has done so many times in the past?